Reefs are disappearing at twice the rate of rainforests, which is pretty horrific when you consider the rate at which we cull forests these days. Six hundred square miles of coral reef is dying every year and it's largely due to the effects of climate change, that is, higher temperatures leading to warming waters.A recent study funded by the National Science Foundation and the Environmental Protection Agency incorporated 6,000 surveys measuring coral reef life in the Indo-Pacific ocean region. But it's not just rising sea temperatures that contribute to coral death it's also man made pollutants filtering into our oceans via waste systems, toxic dumping, fuel spillages, even that moisturising suntan lotion with the unnatural chemicals used to protect us from the intense UV rays of the sun. Who's protecting our corals? Coral reefs only cover 1% of the ocean floor but they provide great economic benefits from tourism and fishing industries for many a coastal town around the world. Hopefully this new study will flare local authorities and governments to review policies that safeguard our ocean life and offset the damage caused by climate change. 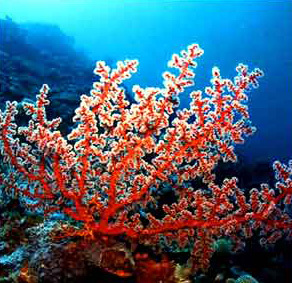 The speed at which we are losing corals has come ten years earlier than many scientists expected. The uncertainty climate change brings means that even with all the predictive simulation technologies we can't be certain what will happen if things continue as they are.